On 1 September, Kamaljit Singh, an assistant sub-inspector with the Border Security Forces (BSF) was injured along with three of his colleagues when they came under sniper fire at a forward post in Krishna Ghati sector of Jammu and Kashmir's Poonch district. Singh died when he was being taken to a military hospital while the other three survived. "It was a minor mistake, one that you can't afford to make in a place like this," a BSF officer, who is not authorised to talk to media, told Firstpost. Borders have heated up in Jammu and Kashmir over the last few months. 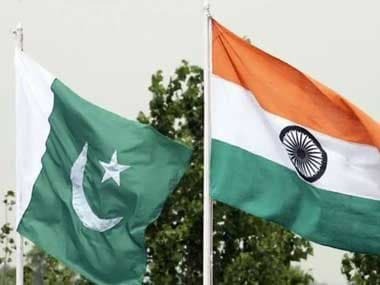 While the armies of the two nuclear-powered neighbours have been trading fire quite regularly, the number of soldiers killed or injured by sniper fire coming from Pakistan on the de-facto border between India and Pakistan has witnessed an uptick in recent months. On Friday morning, both the armies traded fire. While three people were injured in Samba district along the International Border (IB), Inter-Services Public Relations, the media wing of the Pakistan Army, said on Thursday that four civilians were killed in BSF firing in Bini Surniyal village on the border. Since mid-2013, when the reports of Pakistani Rangers using .22 sniper rifles to kill Indian soldiers started appearing in the media, most of the cases had been reported from the working International Border in Jammu. 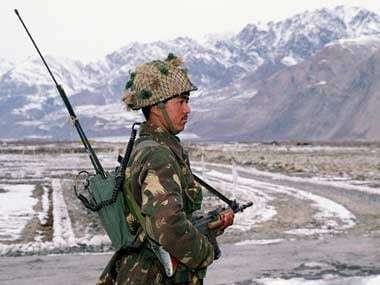 However, in recent months, according to senior officers in the security grid involved in monitoring developments on the LoC and IB, the use of sniper fire by Pakistani side has been expanded to multiple locations in the Kashmir Valley as well, where it happened again on Wednesday. 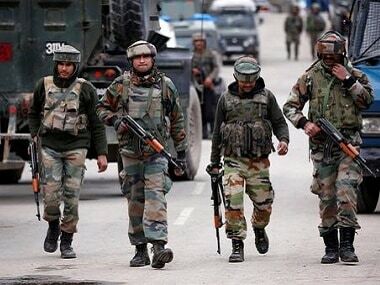 In Keran sector, along the Line of Control in Kupwara district of north Kashmir, an Indian Army soldier was killed and three others were injured in sniper fire by Pakistan Rangers. The army airlifted its soldiers to its 92-Base Hospital at Badamibagh in Srinagar where one of the injured identified as Rajesh Khatri was declared dead on arrival. "This trend has picked up recently," an Indian army officer in Kupwara said, "Earlier this was confined to Jammu. Now if you make a single mistake, these people (on Pakistani side) are waiting. They come, they fire and then leave." It is not clear if the Indian side too uses the snipers to target Pakistani soldiers. Getting officers to speak on record from the army or the BSF on the issue is a next-to-impossible task. But the senior officers in the security grid say the use of sniper guns and the fatalities caused by them have increased in recent months. Last month, the BSF said it killed three Pakistani Rangers in retaliation to a jawan of the force sustaining injuries in sniper fire from across the IB in Jammu. Recently, a BSF official in Arnia area told Firstpost that it has become dangerous for soldiers to venture out: "We have to be very careful. Every second counts. A minor mistake can lead to death especially since the use of sniper fire from across the border has become rampant." Firstpost tried talking to the IG BSF Jammu Ram Awtar, DIG BSF Jammu Dharmendra Parikh and also contacted the DG BSF in Delhi but all in vain. While the DG BSF KF Rustamji's office in Delhi promised to return the call, Parikh said he only talks to people who are "registered with my office". "How do I know a person speaking from Srinagar is really a reporter," Parikh said over the phone. But military intelligence officials have confirmed to Firstpost that these snipers in recent months have been spotted crawling through thick vegetation, taking cover of the forest and firing at Indian soldiers. "The attacks first started in mid-2013 but in recent months their intensity has increased, not just in plains but beyond Pirpanjal too," an official said. In most of the cases, the official said, it been noticed that snipers, after firing shots, crawl towards a nearby bunker on the other side, leaving no two opinions about the identity of the perpetrators. The incidents of sniper fire are not new though. In August last year, a junior commissioned officer (JCO) of the army was killed in Nowgam sector along the LoC. He was hit by sniper fire from the Pakistani side soon after he came out of his bunker. On 9 July last year, constable Krishna Kumar Dubey lost his life when Pakistani snipers opened fire at a post located in Nowgam area of Baramulla. It was a second killing of a BSF jawan in Pakistani firing in the first two weeks of that month. Dubey was hit in his right eye by a bullet from across the border. Later, on 22 October, the BSF killed seven Pakistan soldiers across the LoC in the RS Pura Sector after Pakistan Rangers, the border force of Pakistan, allegedly resorted to sniper attacks at Indian posts at Hira Nagar in Kathua. This, according to BSF, was a reaction to the firing from the other side, which resulted in injuries to a soldier. "This year has witnessed a sharp increase in ceasefire violations by Pakistan. By the middle of the August, more than 290 ceasefire violations were committed by the Pakistan Army. 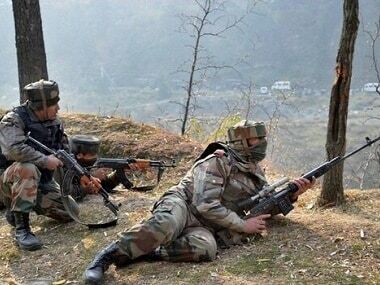 But the attacks by snipers have increased manifold which only escalates the situation," a senior army officer said.